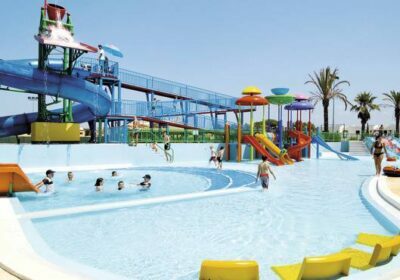 Albufeira Free Child Places Low Deposit Albufeira Family Holidays @ Web2travel.co.uk Best Value Hand-Picked Holidays to Albufeira, Algarve from UK airports Since 2000. Albufeira Family Holidays have now become more popular as Top Tour Operators such as Thomson are now offering more Package Holidays to Albufeira. Reviews of All Inclusive Holidays and Self Catering Holidays in Albufeira, Algarve, Portugal. This is one of the most popular and liveliest resorts in the Algarve. As well as the many great beaches on offer, there are some beautiful churches and pretty cobbled streets that are well worth a visit. There is a large selection of bars and restaurants to suit all tastes. Albufeira has for many years been the most popular resort in the Algarve. Split into 2 main areas known as “The Old Town” and “The New Town”. The old part of town is a pedestrianised maze of cobbled streets centred round the main square. In and around the main square you will find lively bar’s and fantastic restaurants where you can sample the local dish of grilled sardines caught fresh from the famous Fishermans beach. Sadly you will not see the fishermans boats on the beach anymore as they all go round the corner into Albufeira marina which was completed a few years ago. For the young and young at heart, located well away from the traditional old town you will find the “strip” and the area around it called the New Town, packed with late night bar’s and disco’s. For even later night action you should visit the famous Kiss Nightclub, where you can dance until the sun comes up! At the very end of the Strip, and down “cardiac hill” you will find the beautiful Oura beach. All in all Albufeira is very popular with couples, families, the young and livelies and, of course, the young at heart.